From left, Rutherford/Cannon County Drug Court Board President Galen Medlin, Director Mary Schneider and Judge Don Ash display a replica check for $5,000 from Middle Tennessee Electric Customers Care. 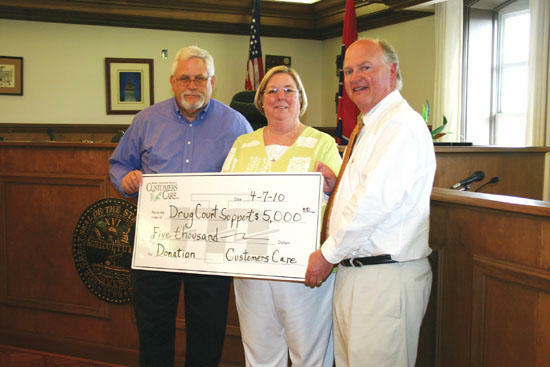 Middle Tennessee Electric Membership Corporation’s Customers Care has donated $5,000 of Operation Round Up funds to Rutherford/Cannon County Drug Court Support. Rutherford/Cannon County Drug Court Support is a nonprofit organization that helps provide community education about addiction and assists Drug Court participants with their recovery programs.